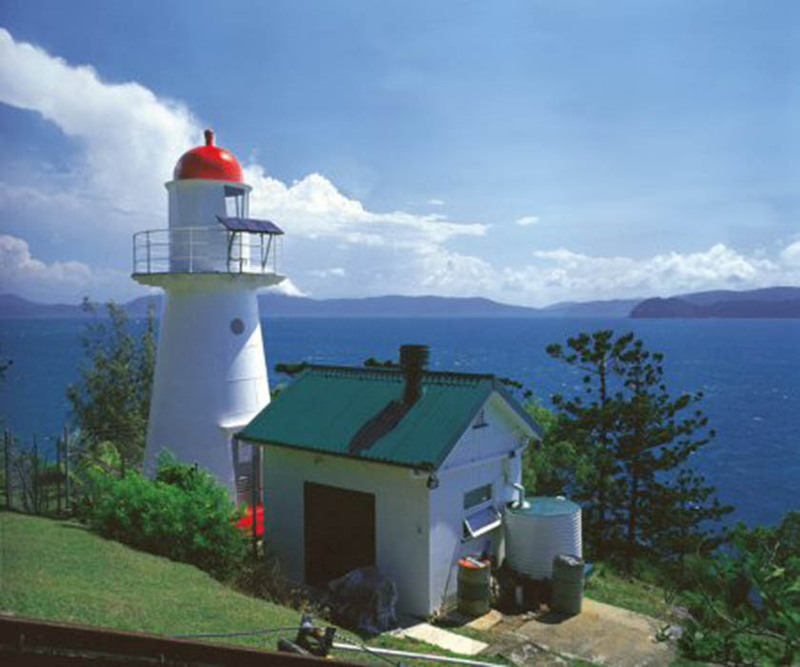 Dent Island Lighthouse | Lighthouses of Australia Inc. 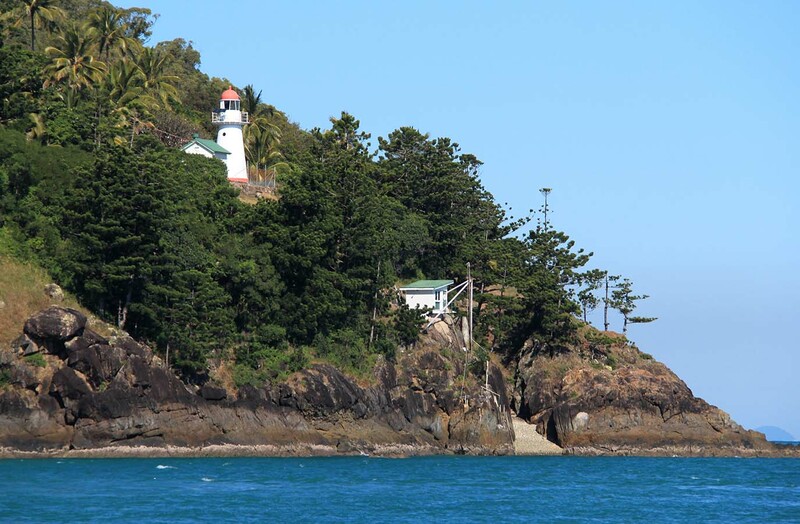 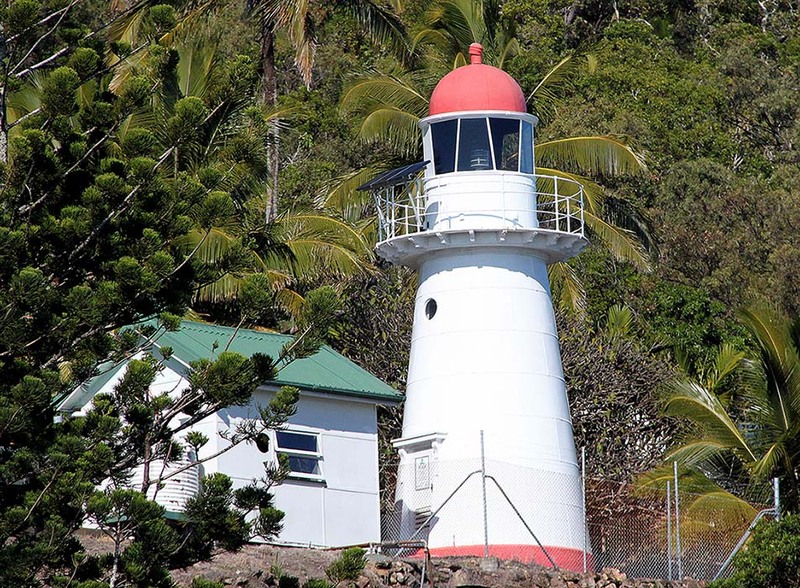 The Dent Island Lighthouse overlooks over the Whitsunday Islands. 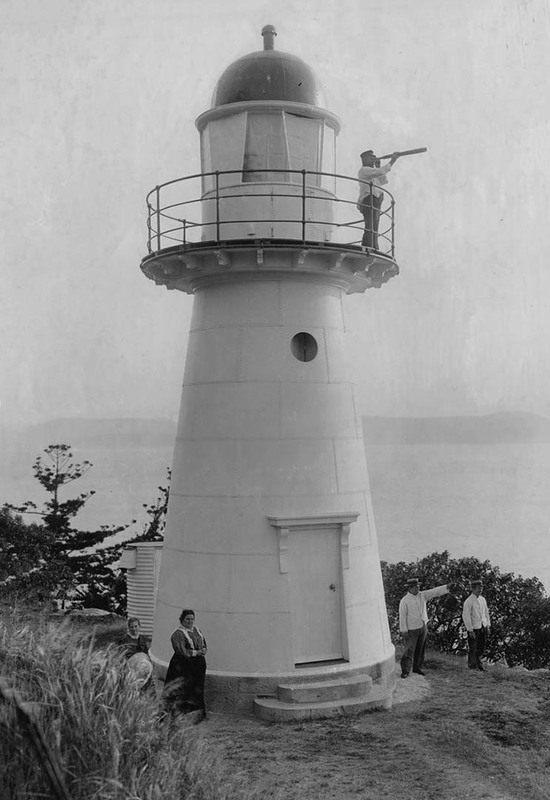 Original kerosene burners upgraded to pressurised kerosene and mantle operation in 1926-1927 with a power increase to 50,000 candelas. 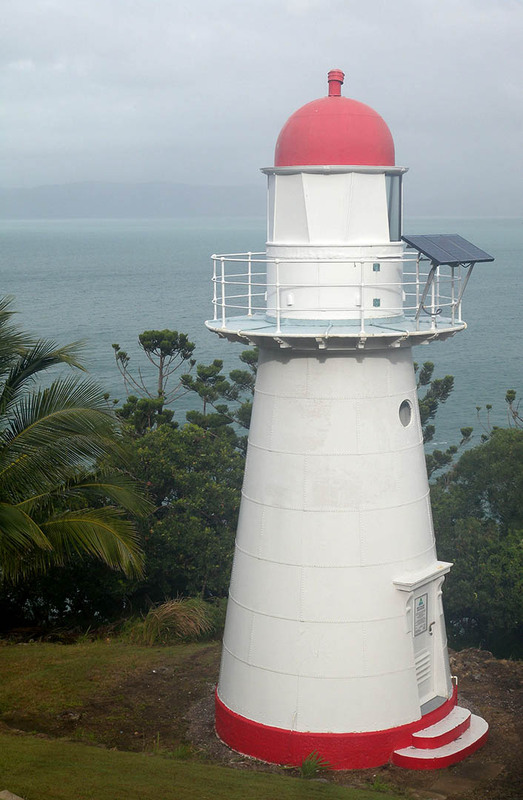 Because the tower was so short the clockwork mechanism had to be wound up every seventy-five minutes. 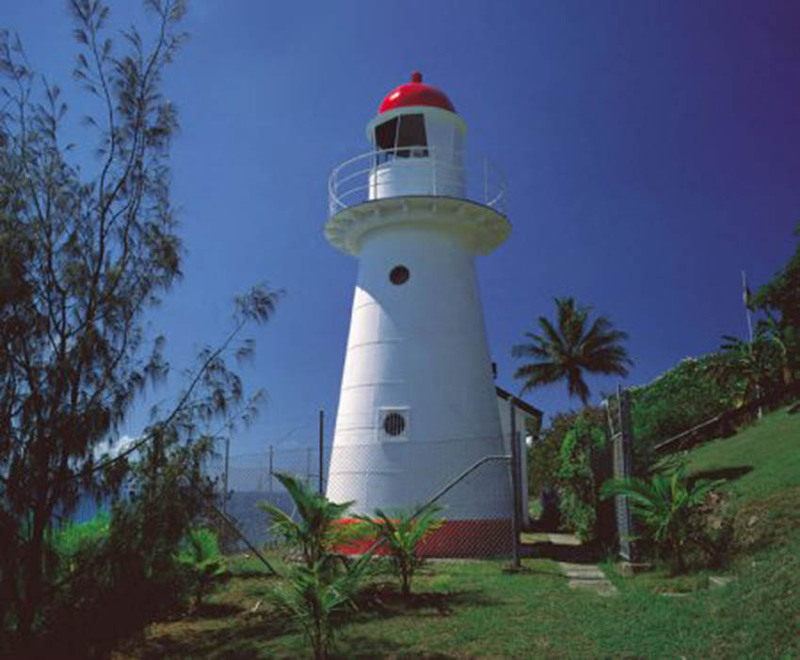 Solar conversion took place in 1981. 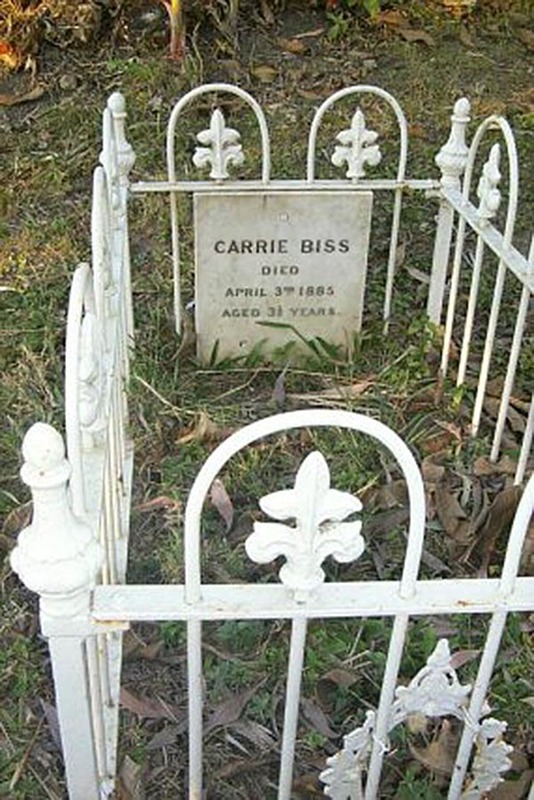 The grave of Caroline Biss who died 'of convulsions' on 3 April 1885 at the age of 3 1/2 Yrs.